20. 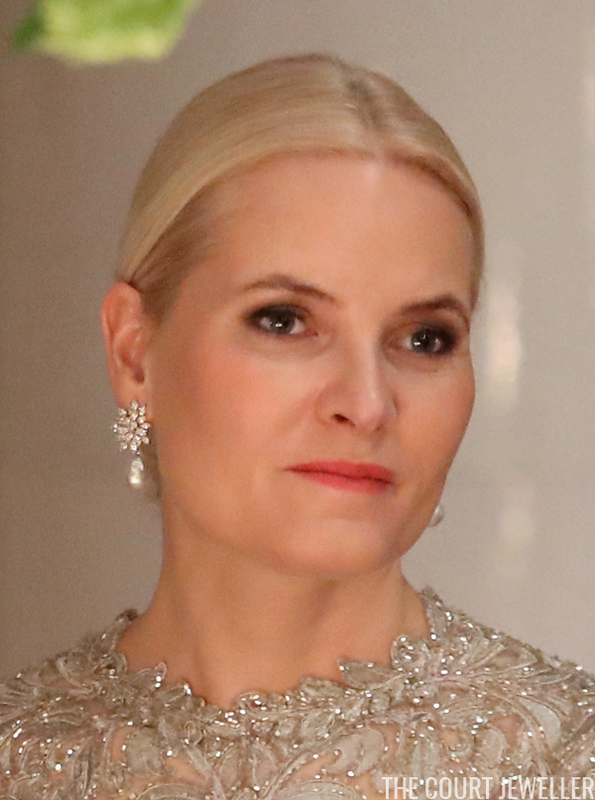 The Countess of Wessex wore stud earrings and her Hermes pendant necklace on Thursday at the Peradeniya Royal Botanical Garden in Kandy during the Wessexes' official visit to Sri Lanka. 19. 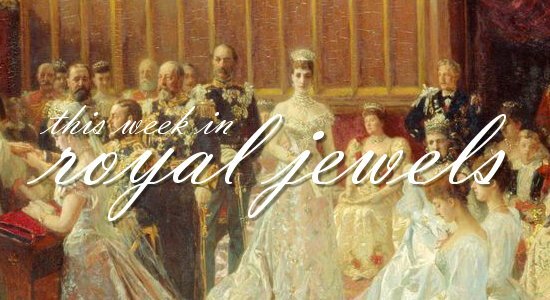 To welcome the President of Germany to Amman on Sunday, Queen Rania of Jordan wore modern earrings (and a Meghan Markle-esque thumb ring!). 18. 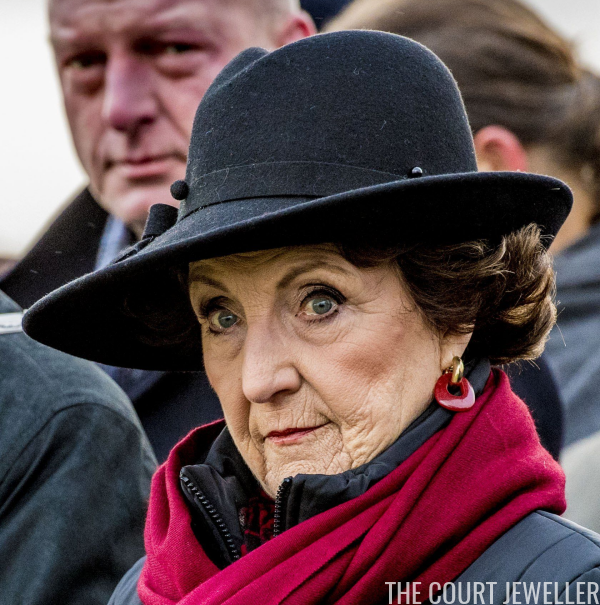 Red and gold earrings provided a bit of color for Princess Margriet of the Netherlands as she attended the national commemoration of the 1953 Flood at the Flood Museum in Ouwerkerk on Thursday. 15. 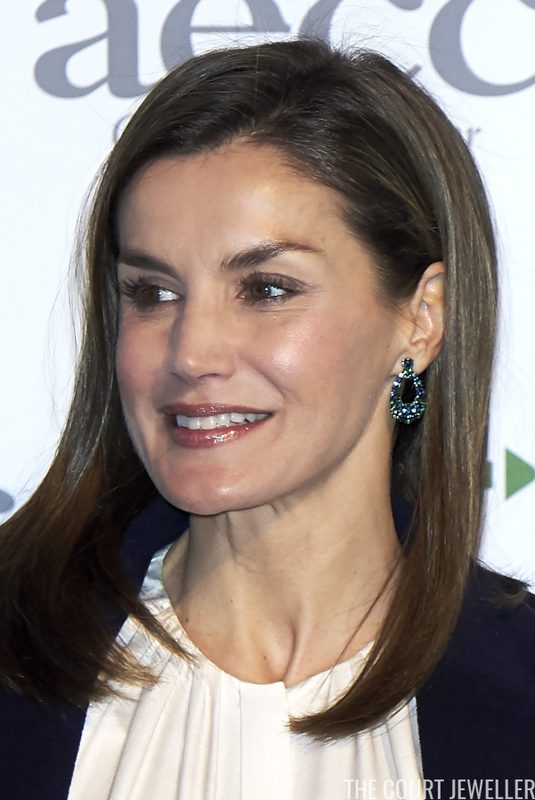 Queen Letizia of Spain wore sparkling earrings on Thursday for a forum at the Reina Sofia Museum. 14. 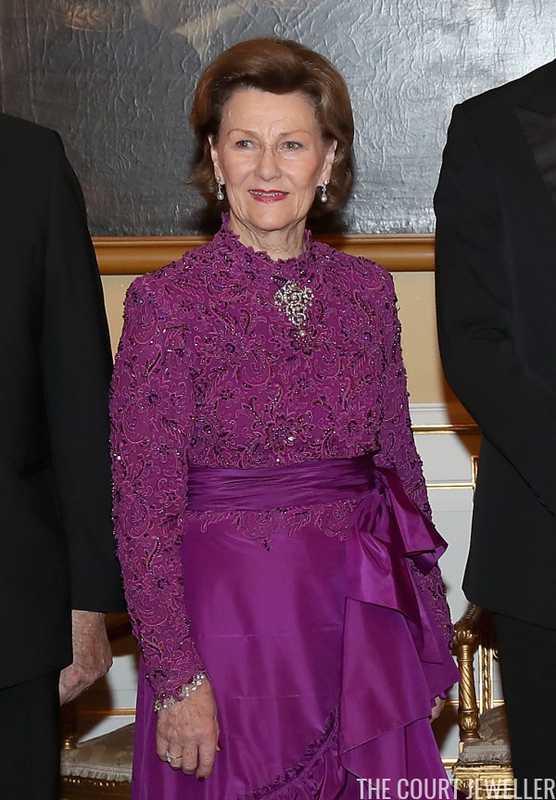 Letizia wore her mother-in-law's lovely pearl drop earrings for the Foreign Ambassadors Reception on Wednesday. 13. 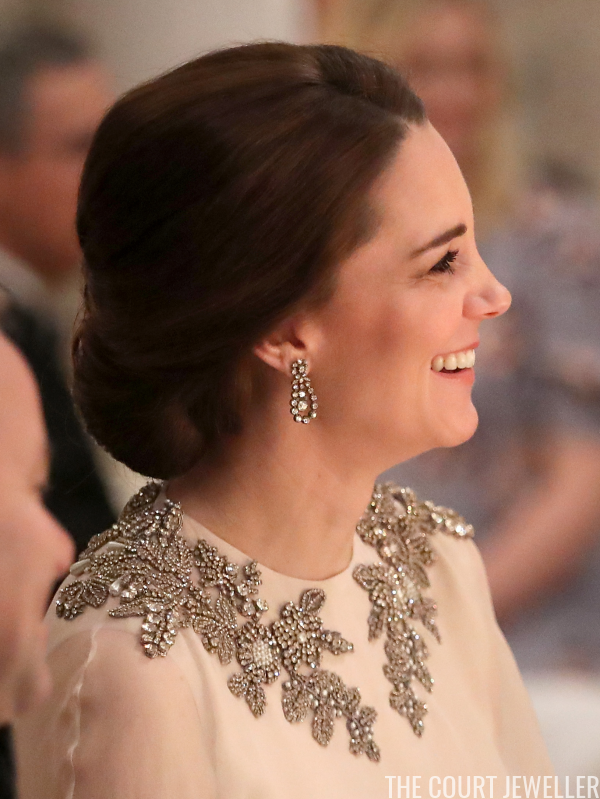 Infanta Elena wore gorgeous pearl drop earrings on Tuesday for the Golden Fleece celebration at the Royal Palace in Madrid. 9. 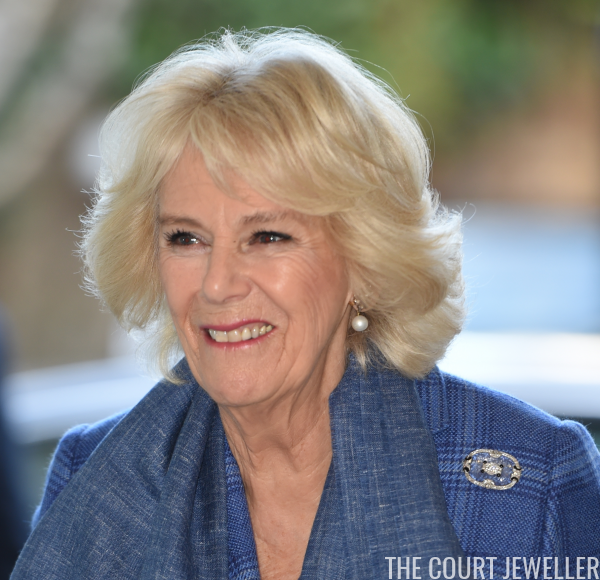 The Duchess of Cornwall wore her favorite diamond and pearl earrings with the Queen Mother's rock crystal brooch for a visit to the Royal Academy of Dance on Thursday. 5. 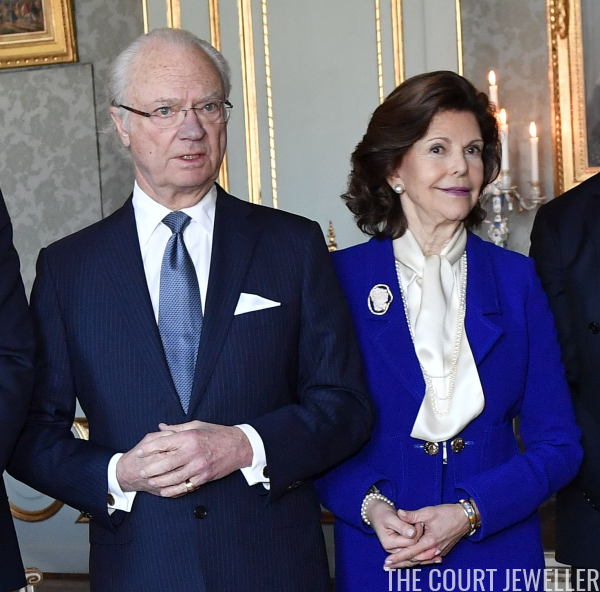 Queen Maxima of the Netherlands wore the family's impressive citrine drop earrings for the opening weekend of Leeuwarden, the European Capital of Culture, on Saturday. 4. 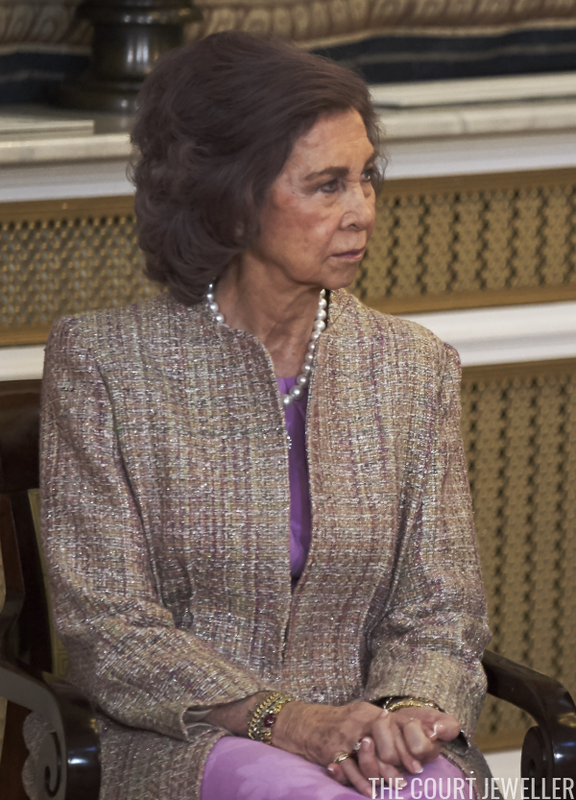 For Tuesday's Golden Fleece ceremony at the Royal Palace, Queen Sofia of Spain wore her pearl necklace with the diamond and ruby pendant given to her by her late mother, Queen Friederike of the Hellenes. 1. 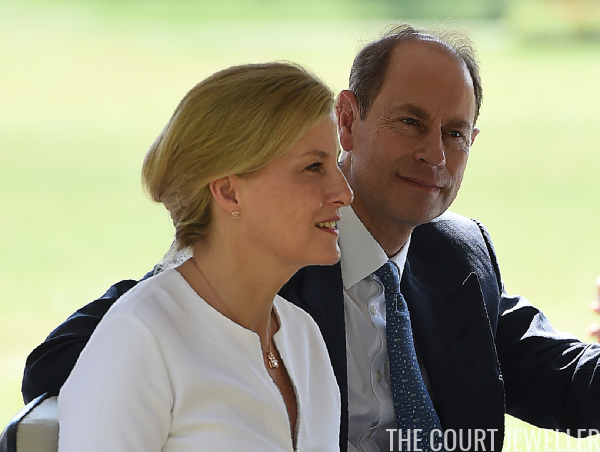 My top vote of the week goes to a truly landmark moment: the Princess of Asturias received the insignia of the Order of the Golden Fleece on Tuesday from her father, King Felipe VI of Spain, on his 50th birthday. 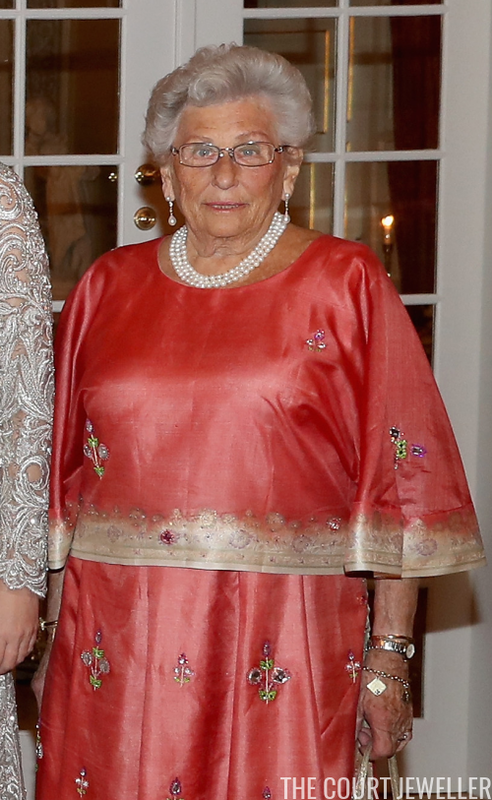 Leonor becomes only the second Spanish royal woman (after Queen Isabella II, who was painted wearing the Fleece necklet) ever to be made a member of the order; she also joins Queen Elizabeth II of the United Kingdom, Queen Margrethe II of Denmark, and Princess Beatrix of the Netherlands as only the fourth living female member. 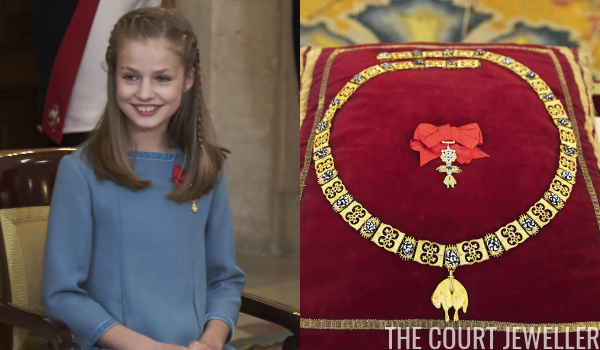 The collar she received belonged to her great-grandfather, the Count of Barcelona.